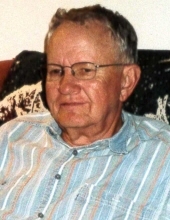 A visitation under the direction of the Williams Funeral Home in Marionville will be held from 1:30-2:00 p.m. on Saturday, April 6, 2019, at the Marionville First Baptist Church, with a memorial service to follow at 2:00 p.m. at the church. Burial will follow at the Marionville IOOF Cemetery. To send flowers or a remembrance gift to the family of Buddy Paul Lambeth, please visit our Tribute Store. "Email Address" would like to share the life celebration of Buddy Paul Lambeth. Click on the "link" to go to share a favorite memory or leave a condolence message for the family.